• Constructed from 431 stainless steel in a one-piece casting, enhanced feel and stability in a more classic style head design. • Heel and toe weighting places two tungsten weights lower in heel and toe for incredible forgiveness and stability. • Each iron is engineered with the ideal CG location, offset, face thickness and top line. 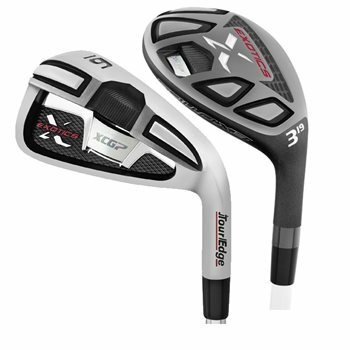 • The combo set replaces the long irons with XCG-7 Hybrids for better distance gapping.